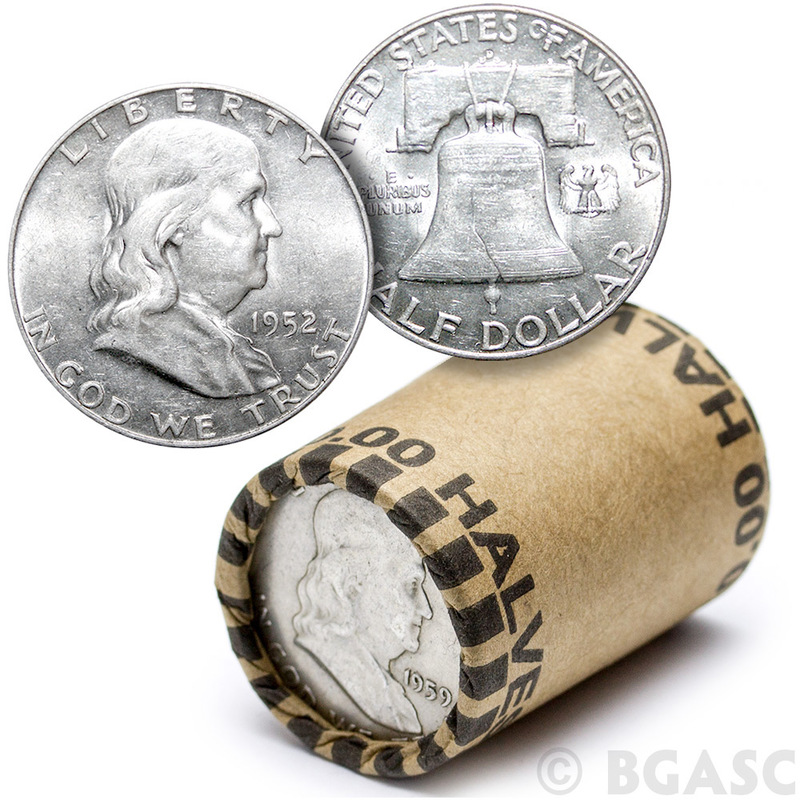 These unsearched, circulated 90% silver Franklin Half Dollars are being sold by the $10 face value coin roll (20 fifty-cent pieces). 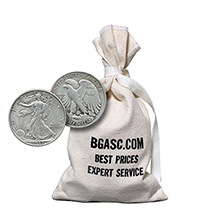 Each half dollar contains approximately 0.3617 ozt of pure silver. 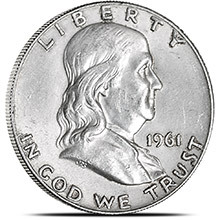 The Franklin Half Dollar is a 50-cent coin minted from 1948 to 1963. 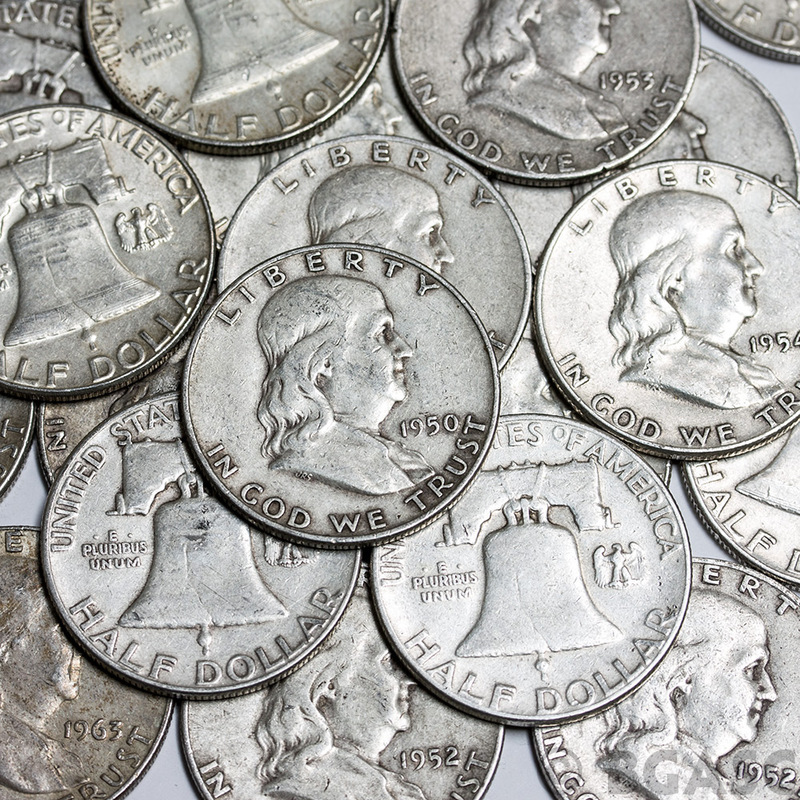 The fifty-cent piece depicts Benjamin Franklin on the obverse and the Liberty Bell on the reverse. 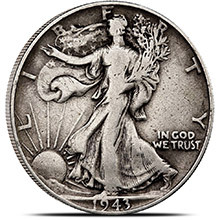 A small eagle was placed in the right field of the reverse to fulfill the legal requirement that half dollars depict the figure of an eagle. 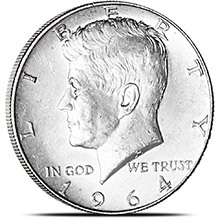 Produced in 90 percent silver with a reeded edge. 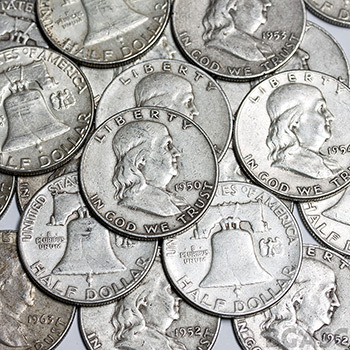 "Circulated" coins are coins that have been in circulation, meaning they could have been used in the past by someone to purchase something, traveled in pockets and purses, may have been cleaned or held onto by a collector for some time, and eventually made their way to our inventory. 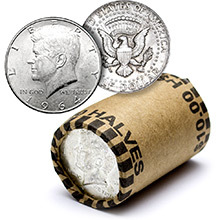 We acquire these circulated coins in large quantities and do not cherry pick them, therefore these coin rolls are always unsearched by us. These coins are generally purchased for their silver content as they typically lack true numismatic value. 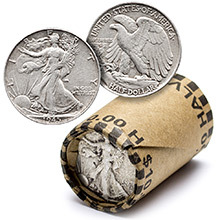 When purchased, you will receive Circulated 90% Silver Franklin Halves bearing any date between 1948 and 1963 with varying degrees of wear in paper $10 coin rolls selected at random from available stock.